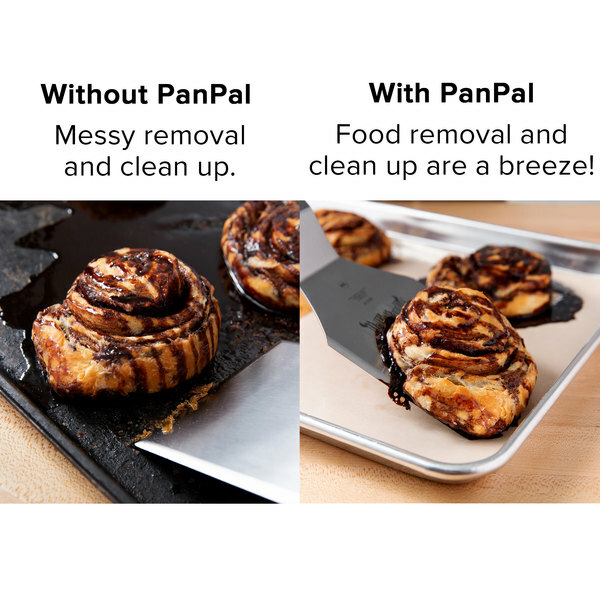 Streamline your busy bakery or commercial kitchen with this PanPal PTFE non-stick reusable half size pan liner. 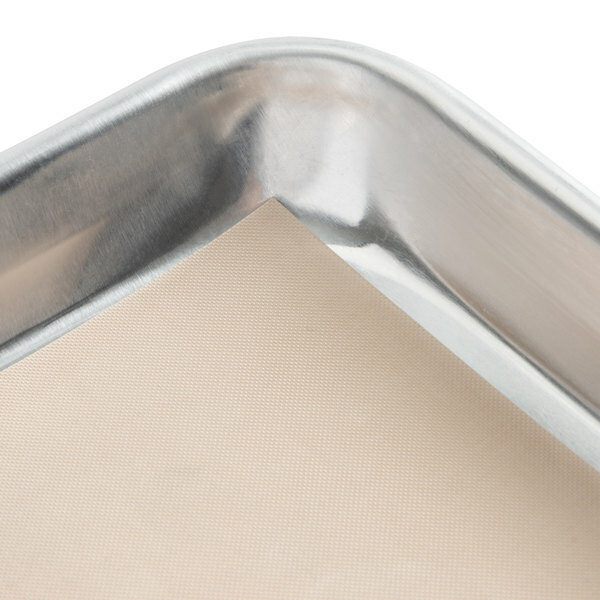 This pan liner is the perfect non-stick mat for a variety of applications- it makes cleanup a breeze and saves you money! You can confidently bake your stickiest pastries and cheesiest dishes on this liner without worrying about a messy removal or difficult clean up. No grease, butter, oil, or sprays needed! This liner eliminates the need to scrub pans clean which saves you time and helps preserve your pans and cookware! "These are a great economical way to keep baked goods from sticking and keeping clean up at a minimum. From cookies and biscotti, to breads and granola, we've used these several dozen times and they have a ton of life left. 4 sheets for less than the cost of 1 name brand silicone…"
You can use it again and again, rather than purchasing other liners and constantly throwing them away! This pre-cut 11 1/2" x 16" size is made for use with half size bun pans for an additional convenience to help you streamline your operation. 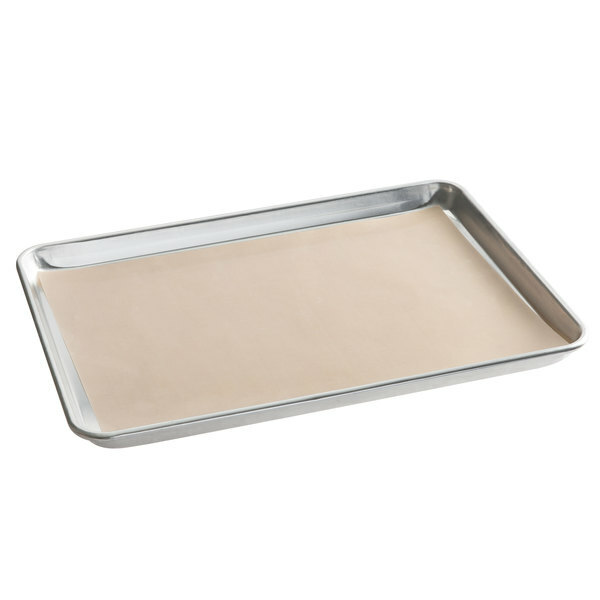 Plus, with even heat distribution, this pan liner is a seamless addition to any baking process! 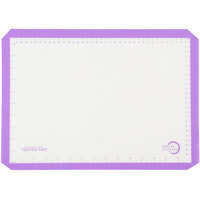 Item #: 470M31093PU Mercer Culinary M31093PU Allergen Safe™ Half Size Purple Silicone Mat - 11 7/8" x 16 1/2"
I was able to try these out at the bakery showcase and instantly fell in love. No mess to clean up! Baked macarons on them and they baked evenly and released beautifuly. 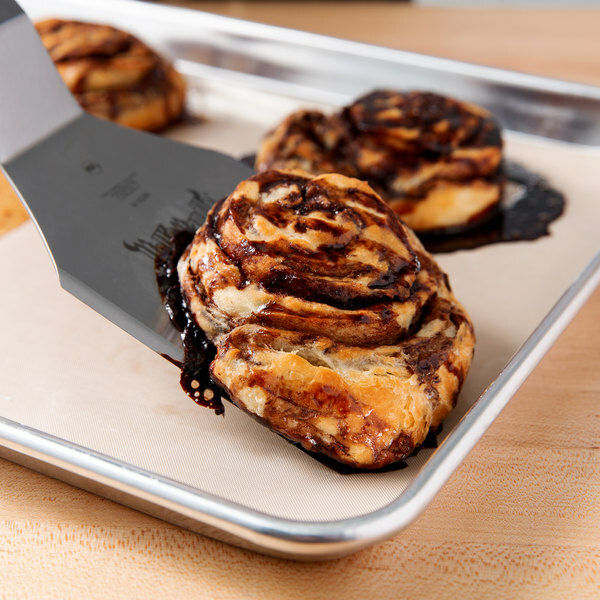 These non-stick liners work great for the cookies I bake for farmer's markets. I also cut one into a circle to use as a pie crust shield for my 8" pies and it works excellent! Pan Pals liners fit perfectly in my half sheet pans. 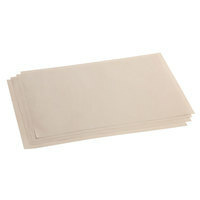 They are a more economical product than disposable parchment or silpat sheets and they work well. I purchased these liners so I am not constantly wasting pan liners for my cakes. These work great. They do pick up some oils from the things they are cooking but that has not hindered their ability to be nonstick. These mats work perfectly for our French macarons! 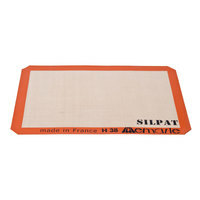 We’ve used other mats such as the Silpat brand but find that these work much better! Great buy! I bought one 4-pack of these for baking cookies. They worked great. These were a great alternative from the expensive mats I normally use. 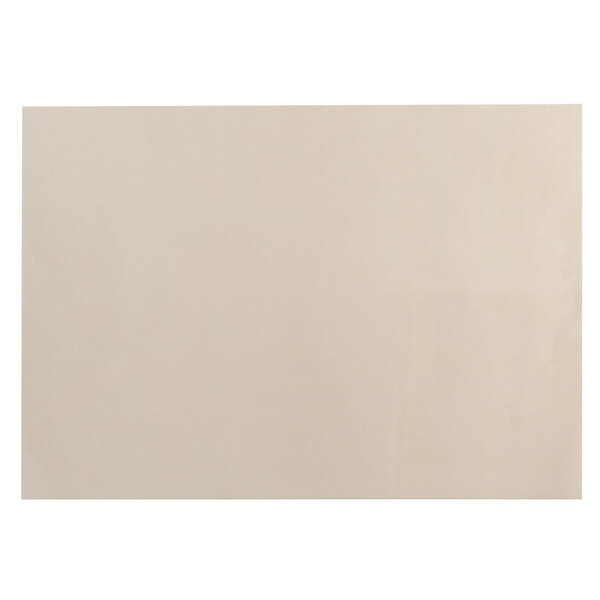 Great price and works as is was described. I have reused them about 4 times each and they are holding up and still performing. These fit my half sheet pans great. I love how thin and flexible they are. They clean easily and the price is very reasonable. I would definitely recommend them! 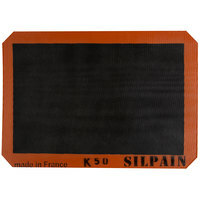 Our if the package these are super thin and light weight. They are not as think as a sil Pat brand. We will see how they work. I just needed them for occasional uses so we'll see. I got these for making cookies and use them for lining the pans while baking but also to catch icing drips etc. while decorating. They work great and are easy to clean up. I've even used them to pipe my own sprinkles on and they remove just as easily as from wax paper. i got these for making cookies but discovered it works even better for making toffee and doesn't wear our while protecting my baking sheets. These are a great economical way to keep baked goods from sticking and keeping clean up at a minimum. From cookies and biscotti, to breads and granola, we've used these several dozen times and they have a ton of life left. 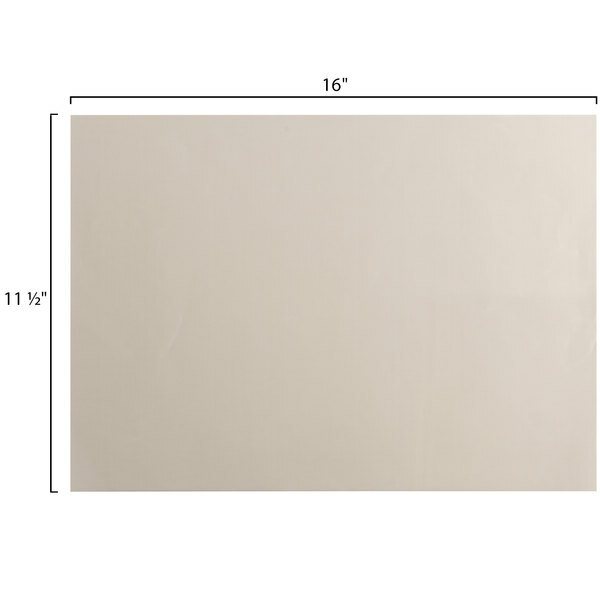 4 sheets for less than the cost of 1 name brand silicone sheet...no brainer. We wash them on a flat surface (pan they were used to bake with) and store them flat to avoid creases. I would definitely recommend and buy these again. I manage a pretzel store and we use each sheet numerous times a day. These sheets have lasted almost a year, and that was through the holidays! They are a sturdy product that would reccomend to all food service and home cooks! These non-stick pan liners work perfectly when i bake cookies. They feel delicate but I have had no issues with tearing or wear. They clean very easily. I have fancy silpat pan liners, but these work just as well and are definitely a great alternative if you don't want to spend as much. These pan pal liners are amazing! I had no idea it would make baking cookies so much easier. Nice even browing. Clean-up is a breeze. Was concerned it wouldn't work as claimed, but for no reason. 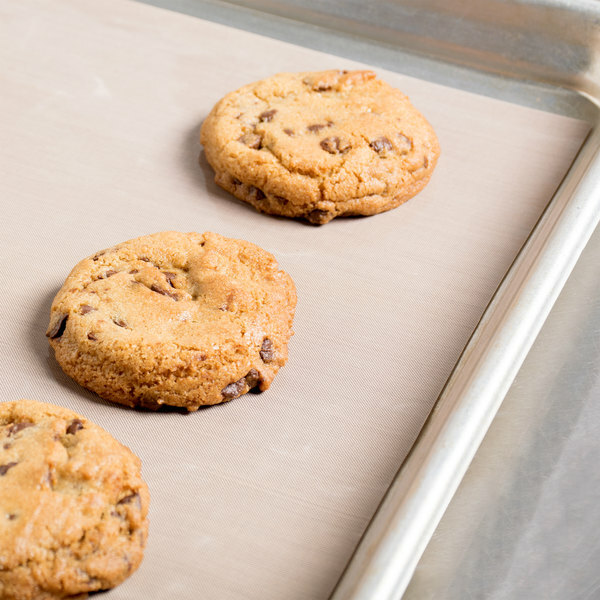 We use these sheets instead of parchment paper, more economical and our chocolate clusters look good not only from the top, but the bottom releases from the sheet beautifully. Easy clean up & great for the environment. 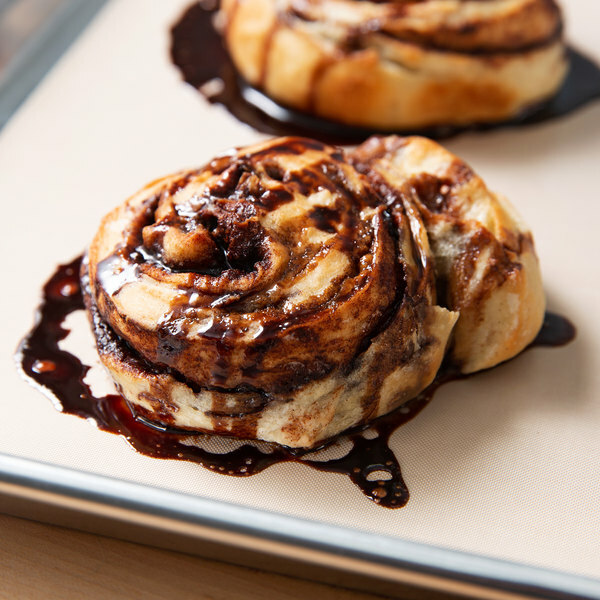 These are the perfect size for half pan sheet pans. They are perfect for dipping chocolates to making macaroons. Very easy to clean and reusable! These pan liners work great, feel durable and are easy to clean. I’m happy to have finally tried a longer lasting sheet liner. I'm ready to buy more! This Non-Stick Pan Liner is very useful and I am very glad that I purchased it on this site, as it is much cheaper than other stores. Highly recommend it. I find these liners to make baking an easier job. 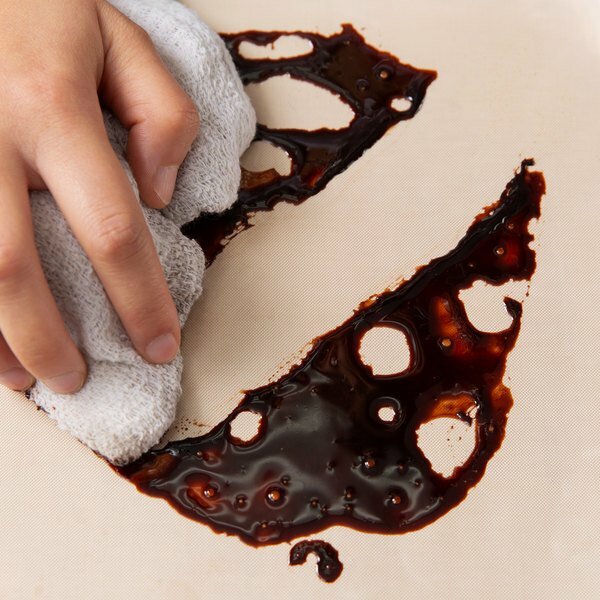 Clean up is easier and the cookies or pastries brown up nicely. So far no more dark areas as the browning even throughout.